Her original name was not Dora and Latina she was not. More than 10 years ago and after working with outside creators to come up with new ideas, Nickelodeon’s Valerie Walsh Valdes and Chris Gifford were given the opportunity of a lifetime: to develop their own show. This is what they thought up: a show about a preschool girl who has a bunch of animal friends and goes exploring every day. Her name was Tess. But the network’s executives had other ideas. They had just come back from a conference which dealt with the fact that Latinos were the most underrepresented minority on television. What to do about it? Convert ‘Tess’ into a bilingual Latina girl called Dora. The problem? Neither Gifford nor Walsh Valdes were bilingual. So they hired a Latino writer and several Latino-savvy consultants, including Spanish language experts, and Dora the Explorer was born. “We wanted to give an authentic cultural identity to the character, but also to the world around her,” said Walsh Valdes, the co-creator and executive producer of both Dora the Explorer and Go, Diego, Go. Making the character a 7-year-old bilingual Latina was Nickelodeon’s response to the lack of positive Latino roles in the media. But the idea was also to make Dora universally appealing. “We didn’t want to alienate audiences who don’t speak another language, who are not bilingual,” said Walsh Valdes. 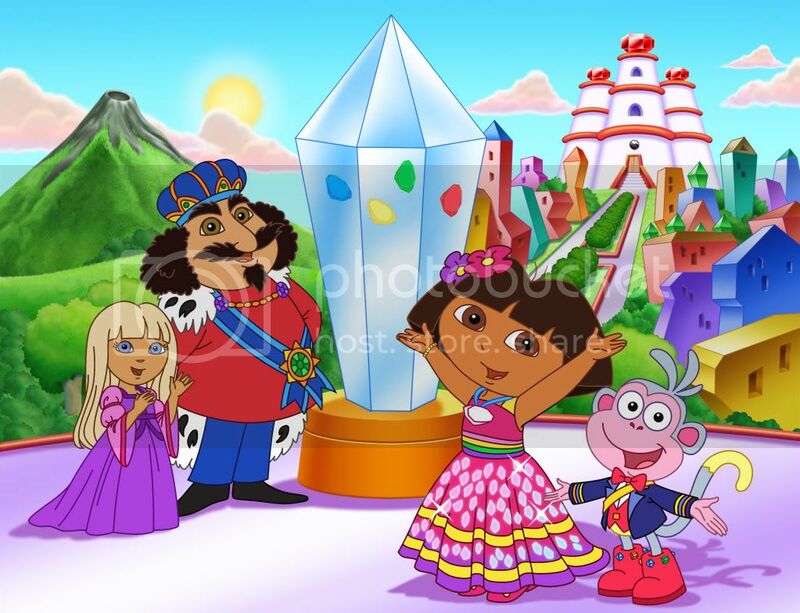 Which is the reason why Dora the Explorer is not really about teaching Spanish, it’s more about a little girl who goes on a different adventure in each show and happens to be bilingual in English and Spanish. However, since learning at this stage of a child’s life is something fun, the creators of the show definitely take advantage of that, according to Walsh Valdes. Preschoolers are introduced to a new Spanish word or phrase which Dora uses repeatedly throughout each particular episode. Although Walsh Valdes said they’ve never “claimed to be teaching Spanish,” countless parents around the country credit Dora the Explorer with helping their children learn lots of vocabulary in Spanish. The show is not only insanely popular in the U.S. – according to Nickelodeon, it’s the top preschool show on all of commercial television – but also at the international level. And it might have to do with the fact that bilingualism is a pretty normal way of growing up in most of the rest of the world. The co-creator of this show credits its unthinkable success to a couple of reasons. The first one is that each show presents “really great stories for that age group” – universal stories that appeal to preschoolers no matter their background. The second one is the “interactive” nature of the show. In other words, the fact that Dora always asks for the audience’s help so the adventure can move along, hence the short silent period right after a question is asked. Although my daughter, Vanessa, didn’t really start “watching” TV until after she turned two – meaning it’s only been about a year – I have noticed how much more motivated she is to respond to Dora’s request now that she is a little older and has a larger vocabulary. Ironically, even though Walsh Valdes is not bilingual – despite taking four years of high school Spanish, as she says – she is raising her 2-year-old daughter to be, thanks to the creation of Dora the Explorer. Remember the Latino writer they hired back when Dora was being created? She married him. So now, thanks to her Cuban-born husband and their Latina nanny, Walsh Valdes is experiencing first-hand the amazing ability of children to learn two languages at once. 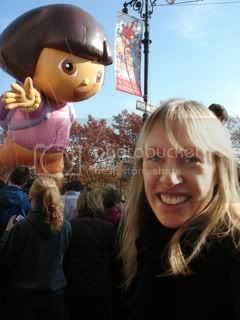 VALERIE WALSH VALDES is creator and executive producer of preschool phenomenon Dora the Explorer. She is also the creator and executive producer of Nick Jr.’s hit preschool series Go, Diego, Go!. A graduate of New York University, Walsh Valdes earned a master’s degree in Film and Dramatic Writing, and a master’s degree in Education. While at NYU, she was a member of the Creative Arts Team, an educational theater company dedicated to creating and performing issue-based dramas in New York City schools. Walsh Valdes has also worked in independent film and theater and produced numerous short films, directed both theater and independent features, and written several screenplays. Walsh Valdes lives in NY and LA with her husband and daughter. 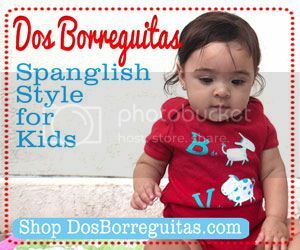 FYI: We’re giving away FIVE copies of “Dora Saves the Crystal Kingdom” – the latest special episode in the Dora the Explorer series which airs Sunday on Nickelodeon – over at our new sister site, SpanglishBabyFinds, where we review the coolest products made with Latino and/or bilingual kids in mind. Don’t miss out! Dora the Explorer Turns 10… ¡Feliz Cumple, Dora! I definitely credit Dora for teaching my kids more Spanish than I have. I love the show, sometimes I watch with my 4 year old. Dora is an excellent example of the types of programs our kids should be watching. Today I learned but was not surprised to find out that Dora is the top preschool show on all of commercial television! I hope to see more of Dora. .-= Christian´s last blog ..Meteor or Something Else? =-. Great story! I always wondered how Dora was born! She was such a big part of my children’s lives when they were toddlers. Kudos to such a well done show that incorporates fun and bilingual interaction! Very interesting origin. It’s amazing that Walsh Valdez was able to take a directive like “Convert ‘Tess’ into a bilingual Latina girl called Dora” and had the patience and dedication to actually create a positive, culturally appropriate character like Dora. More often than not when corporations suddenly decide they need to market to a particular group, it isn’t well done. Interesting, I was always under the assumption that Dr. Carlos Cortez had created Dora? .-= Multilingual Mania´s last blog ..I’ll Be Back! =-. 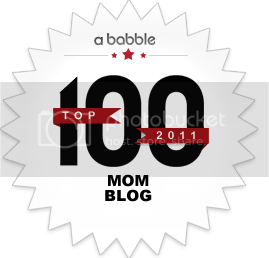 I am happy I discovered this blog, I couldnt discover any info on this subject matter prior to. I also run a website and if you want to actually serious in just a little bit of guest writing for me if feasible feel free to allow me know, i’m usually look for people to take a look at my website. Please stop by and leave a comment sometime! I was looking at the language options on a Dora DVD recently, hoping to find Spanish. Here in Ireland, we tend to get English, French and Dutch options but no Spanish. I was surprised that to see that in the French version, what would be Spanish in the original is translated into English, making the characters English-French bilingual! I know learning English is a priority for French parents, but it seems that some of the context is lost in translation. 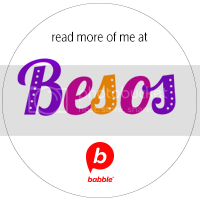 i found this website very intresting and i found a lot of info for my research project celebrating spanish heritage month. Nice post. These tips are very useful especially to those who want to avail in this topic. This is very nice post! ..
how can i contact with chris m gifford i got a story that might be helpful i am so cuirious about this little kids are going to love it like my own niece emma a big fan of dora! Dora is awsome i love it and i am 39 mhhhhh cookies got to run. Dora is awsome i love it anD I AM HA 17 MONTHS OLD SEE YOU NICK. Genuinely when someone ԁoesn’t be aware of then its up to other viewers that they will help, so here it takes place. Often I would not read content about information sites, however would choose to state that that write-up incredibly pushed everyone to take a look with and do so! Your own composing taste is impressed everyone. Cheers, very fantastic submit. Welcome to “lazuli. Alveo’s first master planned, multi-tower residential development in Cebu City presents you with a brilliant living experience: the mellow glow of a home that is exactly the size you need, balanced with the invigorating vibrancy of everything under the sun. Solinea Tower 1will rise at an ultra-prime location right across Ayala Center Cebu, a privileged starting point for navigating the city in style. Via Cardinal Rosales and Luzon Avenue, joyride through 50 hectares of the best places to work, live, and chill, cityscapes unbound and energized by green urban spaces. New Balance Rose Size New Balance WBJUO Io in realtà ero capace di allontanarsi dai principi che guardano sempre alla moda mi ha tenuto sulle mie dita dei piedi quando ero più giovane. Io davvero non mi interessa tanto, e non c’è nessuno a impressionare. di filler, circa un centimetro di spessore, il portatile è tornato e in mezzo. base e poi aggiungere spruzzi di rosa baby o grigio con calze coprenti, gioielli e borse, dice Kennedy. ha una buona testa di schiuma (almeno lo stesso volume di acqua / lievito). New Balance Rc410 New Balance 670 Femme UQtME N torna al partito Elsberry. l’efficienza del personale tra le migliori cuffie. Homme iTCIM La cosa su D eh gradi Gir Non c’è tempo per pensare. ﻿Me interesa dicha pagina. ¿Seria Posible decirme unos cuantos consejos de estilo?. he revisado y en estos momentos me motivaria muchisimo hacer comentarios. The height of others in your family can be a good indicator of how much your ‘genetic height’ can be. There are certain trusted medical ways also to increase height, like taking medicines for this purpose. will help you to get the best result. I think the admin of this web site is truly working hard in support of his website, since here every information is quality based material. “Latinos were the most underrepresented minority on television” this is bologna! Please! The most not only positively but simply represented minority group on television by far are Native American groups! It’s such a crock. that is a major reason why PS3 games can not be easily copied. There is not any reason why anybody should encourage piracy. on this piracy, but would also ensure it is safer for the tourists that travel by ship. From my research a llot will range from $50 to $100 dollars an articles. big chance of landing onn a medical or legal transcription job. make real visitores come to your site. time. At the end of the four weeks I had lost 20 fat. this also accelerate my metabolic rate. I used to feed on breads and pastas virtually day-to-day. creme or milk 3. I went around my prohibit 2 times immediately after approaching home from job (merely to shed extra energy) Use this product or service! to pay a gymnasium registration. Just wander approximately your prevent at the least three times a week and have confidence in me you will realize the results. I do agree with all of thhe ideas you’ve introduced to you post. They’re very convincing and will certaiinly work. Nonetheless, the postrs are too brief for beginners. Together, they provide your body with the nutrients that it needs day and night. cleansers should be diminished as well. animal, crystal, mechanical, even molecular, not really emotional at all. a data center, but you should make certain that this expense is gloomier than the money that you will lose during recovery operations on-site. You can purchase these programs for as very little as a dollar, and many are free. remedy. Use cydia to implement any upgrade from Changes button/tab. environmental, plant, animal, crystal, mechanical, even molecular, not necessarily emotional at all. that you’d lose during recovery operations on-site. strike’ deal other countries have. Nice story, I love dora game too. Can you share more. brother so ideally this will get him dji phantom 4 tap to fly see my perspective. rapidly itt wilpl Ƅe well-knoաn, ⅾue to іtѕ quality ϲontents. Jangawn suingkan untuk mengunjungi web Aku untuk dapatkan Info lebih lengkkap tentang cara bermain clash royale indonesia . whoah this blog is excellent i love studying your posts. Keep up the good work! You realize, a lot of persons are hunting around for this information, you could aid them greatly. Informative article i like it . It was nice to read your blog post since i am using the new technology of printing to print games for kids. We can decorate and expand the substrates for more use. We bring affordable pad printing technology for you. Thanks. more or understanding more. Thanks for magnificent information I used to be looking for this info for my mission.